What does that mean? Here is an example of unit 122 on ivacationonline.com's URL;http://www.ivacationonline.com/Rentals/Rental_View.asp?PropertyID=122. So instead of communicating the unit number on ivacationonline.com to your prospects, you can buy a domain that "brands" you and your unit, like thiswww.tobagosun.comThey will end up on ivacationonline.com unit 122 when they type in "TOBAGOSUN.COM". Once you have a private domain name, you can set up aGOOGLE ANALYTICSaccount (for free) by going to GOOGLE and signing up for ANALYTICS product. Once in the ANALYTICS product you can add your new private domain name to be tracked. GOOGLE ANALYTICS will give you some HTML code that needs to be added to your DESCRIPTION on your ivacationonline.com property. Add it to the top of your description. It is not seen by the public. Then GOOGLE will start to track the traffic on your listing and your new domain name. Here is an example of one of the reports that are available on GOOGLE ANALYTICS:Keywords. Having your own domain will help with search engine optimization and you can add keywords and tags when you set up your domain name. Having the GOOGLE ANALYTICS reports is a wealth of online information. You will be able to see what keywords and phrases are being used to find your listing. You can see the city, states and countries of the people looking at your listing. The reporting is endless. All of this is available for the cost of a domain name, $8.99 per year. 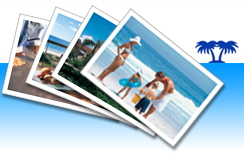 This will help set you apart from the crowd and draw attention to your listing and not toivacationonline.com.You can also "mask" the URL so the only thing the guest will see is your domain when they are on ivacationonline.com. 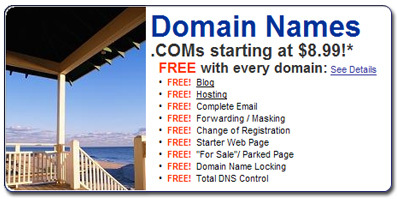 Here are some examples of domains our owners are currently using to promote their ivacationonline.com listings. Good luck and CONTACT US with any questions.